Lee Daniels has echoed the thoughts of Empire fans worldwide after Thursday's Emmy nominations announcement revealed that Empire has been snubbed at the 2015 Emmys. Oh, sure, actress Taraji P. Henson received a well-deserved nomination for Lead Actress in a Drama Series, but somehow, some way, Empire was completely and utterly ignored when it came to the Outstanding Drama Series category. Jussie Smollett didn't win a nod for either Lead Actor in a Drama Series or Supporting Actor in a Drama Series. Heck, I would have even accepted Raven-Symoné getting a nod for her short arc as Jamal's baby mama. 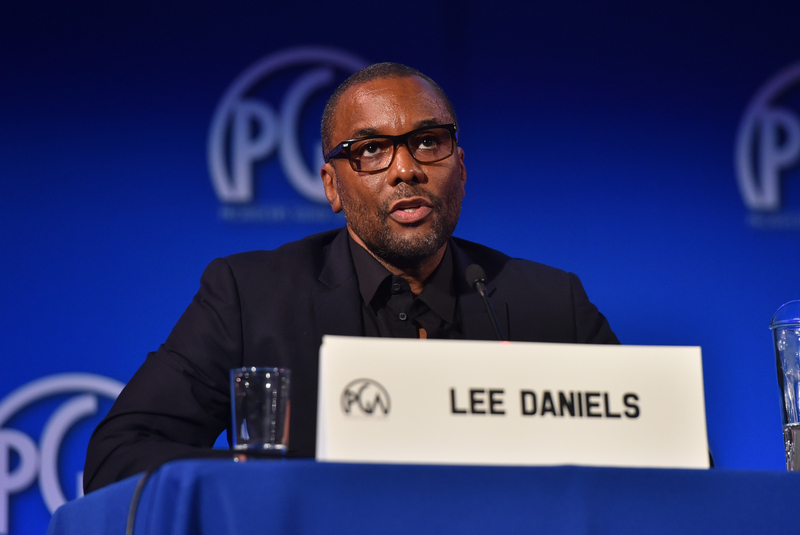 So, naturally, when Lee Daniels reacted to Empire's Emmys snub, he had trouble keeping things politically correct despite the presence of his PC Coach, Smollett. The video, which was posted to Daniels' Instagram on Thursday, is one of a series in which Daniels reacts with otherwise happiness to the nominations for Empire cast and crew, as well as his ex-partner Billy Hopkins, who was nominated for his work on Bessie. It was tagged with the caption, "#canfinallypostthis #timetoberealagain #emmyniceguyoverwith," so you kind of knew from the onset what you were getting into. Using some pretty strong language, Daniels' lets the Emmys know exactly how upset he is about the snub, while a laughing Smollett begs in vain for Daniels to remember to "be nice on [Instagram]." Of course, some people just didn't get the joke, forcing Daniels to upload a second video to his account in which he expressed that he had nothing but the utmost respect for the Emmys. "Some of these people ain't got nothing else better to do but to hate on me for having fun. I was having fun. I love the Emmys and I'm excited about my cast and crew that got nominated and for the other people that got nominated for Emmys." Here, he paused to roll his eyes. "So haters, shut up and go to bed. Sit down." Well, Daniels might have been joking with his original video, but, for me, the wound of the Empire snub is still too fresh for jokes. Whether you consider the acting and storylines on Empire revolutionary, or necessary commentary on our modern society, the fact of the matter is that Empire's unexpected, runaway success in its first season did something that, prior to the release of the show, no one thought that such a show could do. The steady and insane increase in ratings from episode to episode, the way they tackled issues of race, sexuality, and mental illness, and how the characters managed to be hilarious and emotionally real without devolving into cartoonish stereotypes... all of that was definitely worth an Emmys nod. This is a wound that will hurt me for quite some time, or until Henson somehow manages to beat out Viola Davis and Tatiana Maslany for the Lead Actress in a Drama Series Emmy. Until then, we have Daniels' rant and apology to tide us over during this trying time. We understand your feels, Lee Daniels. And we feel them too.